If you like the idea of owning a Range Rover but find the thought of running one to be slightly at odds with the kind of corporate responsibility statement you want to make, then this P400e petrol/electric Plug-in hybrid version could be just about perfect for you. It offers a combined power output of 404hp, a claimed all-electric driving range of 31 miles and an official fuel consumption figure better than a Toyota Prius. It's hard not to be intrigued. 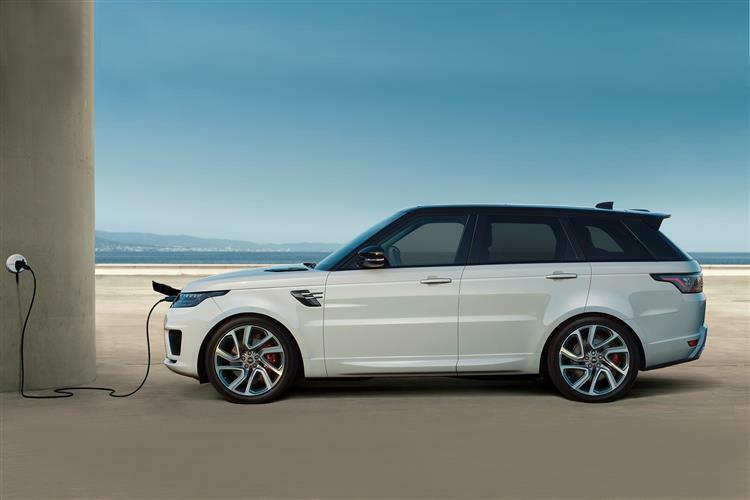 Can the Range Rover make sense with Plug-in hybrid petrol/electric power? Does it make the most sense in this form? Jonathan Crouch decides. 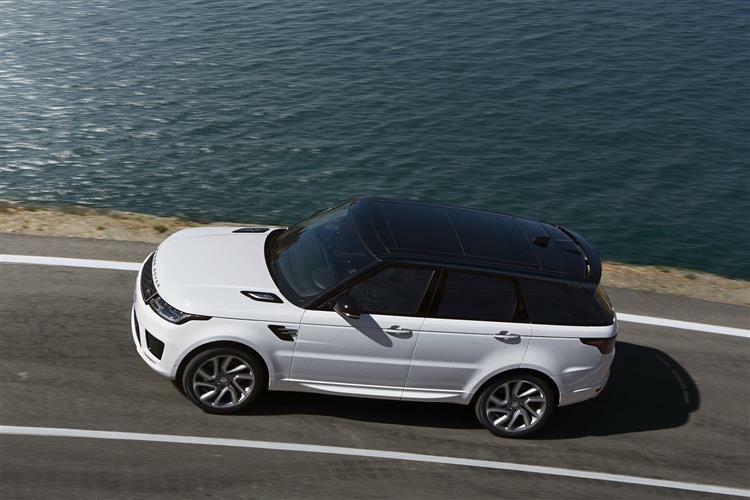 On the move in a Range Rover, luxury, comfort, refinement, craftsmanship and outright performance all fuse together as part of this car's imperious progress, whether that be on-turf or on-tarmac. All the available powertrains offer exemplary refinement, but should you select one that adds in electrified assistance, then as you might imagine, this car is particularly quiet. We're referring specifically to the petrol/electric hybrid engine used in the P400e variant we've chosen to test here. This version may only have four cylinders, but it boasts a combined power output of 404PS, a claimed all-electric driving range of 31 miles and running cost figures that are better than a Toyota Prius. This version employs a 300hp version of JLR's familiar 2.0-litre Ingenium petrol engine working in concert with an 85kW electric motor powered by a 13.1kWh lithium-ion battery. Yes, as previously mentioned, it's a four cylinder powertrain but if fellow Range Rover owners scoff at that, you might want to remind them that this supposedly eco-minded variant develops a 640Nm torque figure that out-strips the base version of the supercharged 5.0-litre petrol V8. Sixty from rest is dispatched in just 6.4s - quicker even than the V8 diesel - and the top speed is higher than you'd get from a black pump-fuelled model too, at 137mph. All of which should provide sufficient reassurance, should you need it, than in choosing this P400e model, you're not being fobbed off with an engine more suited to an Evoque. Which is just as well, given that this particular derivative weighs over two and a half tonnes - over 300kgs more than the base TDV6 diesel version. This is every inch a Range Rover. You'd know it as such even without a glance at the elegant badge work. Which is as it should be. Gerry McGovern's design team committed early on to protect the visual characteristics that have always made this car what it is: the wrap-around clamshell bonnet; the deep glass area; the low waist and straight side feature line with no wedge or step up in side styling; the close wheel arch cuts; and the two-piece tailgate. Specific changes made to this model for the 2018 model year mainly centre around a revised front grille (Land Rover had to redesign it to allow for the insertion of the charging port needed for this PHEV model). The bumper's been subtly re-styled too, now featuring widened vent blades. Seated commandingly up-front amongst the beautiful leathers, polished metal, deep pile carpet and glossy surfacing, you'll find yourself in a cabin that looks as classy and cosseting as ever. It features clean, elegant controls, wider re-designed leather seats and the new-era 'Touch Pro Duo' infotainment system we first saw on the Velar, complete with its two high-definition 10-inch central touchscreens. Anything this Panasonic-developed set-up can't tell you will almost certainly be covered off by the digitally customisable 12.3-inch so-called 'Interactive Driver Display' you view through the imposing four-spoke stitched multi-function steering wheel. In the rear, there's over a metre of leg-stretching room - and you can extend that by a further 186mm if you go for the long wheelbase body style. And though the boot can't offer the option of extra fold-out chairs, it offers a huge 909-litre capacity. There's a premium of about £7,000 to go from the base TDV6 diesel Range Rover to one with this P400e Plug-in hybrid petrol/electric powertrain, which means starting prices for the base 'Vogue'-spec model beginning from around £87,000. 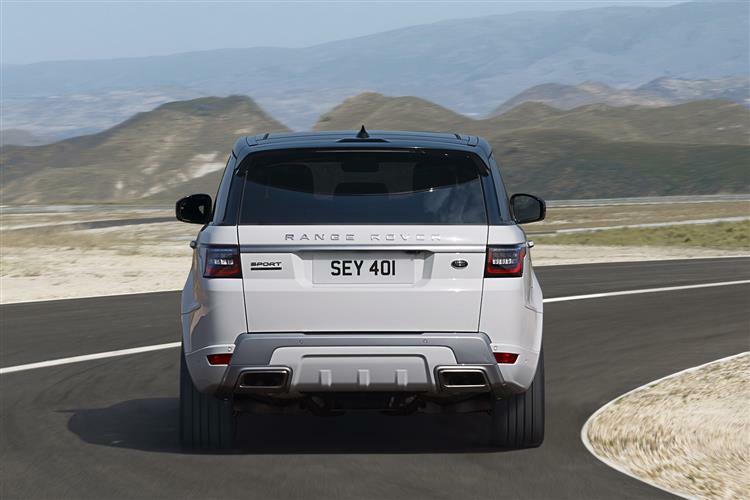 Bear in mind that the same engineering can also be found in a Range Rover Sport P400e model costing around £70,000. 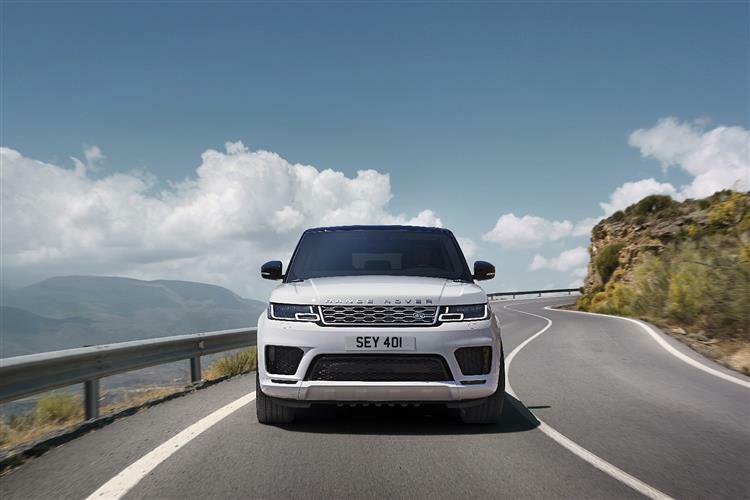 'Vogue SE', 'Autobiography' and 'SVAutobiography' trim levels are also available for Range Rover buyers, the latter two options available with the lengthened long wheelbase bodystyle. Here, the price could be anything up to around £170,000. It's hard to find really direct rivals. The base 'Vogue' P400e model costs just over £20,000 more than large-segment Plug-in hybrid SUVs like Audi's Q7 e-tron, Porsche's Cayenne E-Hybrid and Volvo's XC90 T8 Twin Engine, but cars like those aren't really from the same class as this one and are more directly targeted by the P400e Plug-in Hybrid version of the Range Rover Sport (which prices from just over £70,000). You've to turn to the Bentley Bentayga for a truer rival - that car can be ordered with Plug-in Hybrid tech, but at prices that would only make sense if you were to be considering a P400e Range Rover in top 'SVAutobiography' trim. The P400e model's sophisticated drivetrain combination produces an eye-catching set of figures - 101mpg on the combined cycle, 73g/km of CO2 (based on the WLTP test) and an all-electric 31-mile journeying range, should you select the provided 'EV' driving mode which locks the vehicle down into milk float mobility. The stats in question are, as with most Plug-in hybrids, straight out of fairy land. In our time with this car, we probably averaged about 25mpg and sometimes struggled to ease the all-electric range much beyond double figures, even with quite conservative driving. The key thing though, is that the government believes them, hence a set of Plug-in hybrid incentive figures that for some buyers, will make compelling reading. 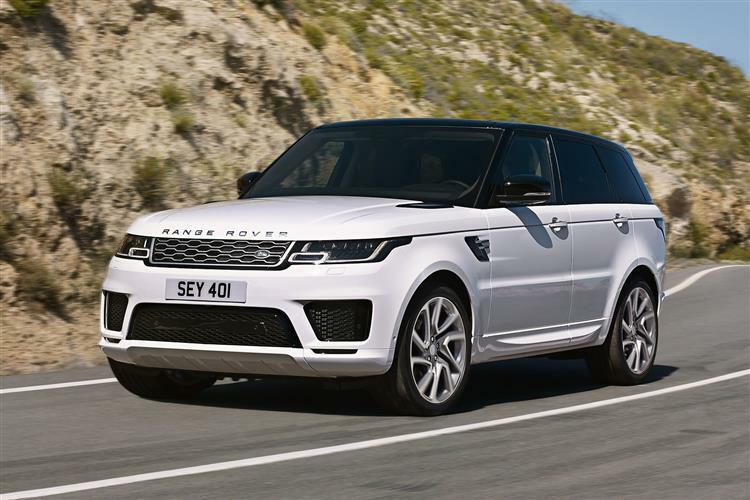 Your first year of vehicle excise duty - what used to be called 'road tax' - will be just £15, compared to £1,200 for the closest-performing diesel Range Rover. More importantly, there's a big potential monthly BIK tax saving given that this car sits in the 16% bracket - as opposed to the 37% bracket for the next-cleanest TDV6 diesel model. True, you don't get the government-funded PHEV grant towards initial purchase that on cheaper plug-ins, subsidises you to the tune of £2,500 (that only applies on vehicles costing less than £60,000). But a Range Rover P400e will qualify for complete exemption from the £11.50-per-day London Congestion charge. Charging takes as little as 2 hours 45 minutes if you have the appropriate garage wallbox and on the move, there's a 'Save' option that'll allow you to save battery charge for town driving. In its much improved post-2018-era form, the Range Rover finally has a cabin with technology befitting its exalted price tag, being better connected, safer and even more luxurious. The main change here though, has been the introduction of the optional Plug-in Hybrid powertrain we've been trying here. It won't work for everyone but the right kind of buyer will find the running cost savings that come with this engine to be utterly compelling. Much has changed then but, thank goodness, at the same time, nothing here is really different. Drive this car through a river, drive it to the opera: it's as happy either way, beautifully built, gorgeously finished and - with the right engine - astonishingly quick. True, this Range Rover is never quite going to be all things to all people, but it has perhaps moved as close to fulfilling that remit as any modern car is ever likely to get. Makes you proud to be British doesn't it.